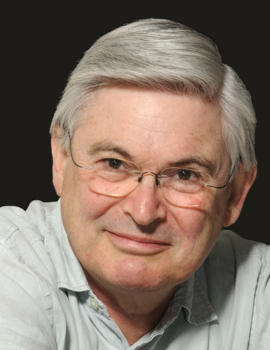 Sir Alan Fersht’s current research uses an amalgam of protein engineering, structural biology, biophysics and chemistry to study the structure, activity, stability and folding of proteins, and the role of protein misfolding and instability in cancer and disease. His group at the MRC Laboratory of Molecular Biology in Cambridge focuses on how mutation affects proteins in the cell cycle, particularly the tumor suppressor p53, in order to design novel anti-cancer drugs that function by restoring the activity of mutated proteins. Since October 2012, he has been Master of Gonville and Caius College, Cambridge.